See that dark spec next to the rectangular part of the yellow sign? That's a pedestrian. This heavy Winter snow and deep cold we have had throughout February has sparked several conversations about how municipalities take care of, or don't take care of, cyclists and pedestrians. I do not want to frame this conversation in terms of "clearing recreational trails", but that is part of this story. I do want to say a few basic things regarding cities and towns and relate that to what our cities and towns should be doing as it relates to its people who walk and cycle. Okay, this is a sad state of affairs when a city cannot afford to provide safe passage through its own system of transportation for its citizens, no matter if they are in a car, or if they walk, or if they cycle. It's not going to fly very well if, say, the City decides that "Elm Avenue" (fictitious street to serve as an example here) cannot be cleared because, well, the City cannot afford to do that. Can you imagine the hue and cry that would go up if that happened in any city in the Upper Mid-West? Why? Because it is assumed that if you make a way, (paved, gravel, dirt, bike path, sidewalk, etc), that it should be accessible all year. Snow or no. A city that says, "we aren't clearing sidewalks and bike paths" is really saying that they cannot/will not care for citizens who choose, or have to use means other than cars to get around. This path was cleared up until a bridge crossing, and what then? Get on the street! See my image above where the curve ahead sign is and note the spec next to the rectangular part of the sign. That's a woman who was forced out in the street to walk because the path wasn't cleared properly in a few areas. Now she had to be in danger of being struck by a car because, by no fault of her own, she had no other option to move from where she was to where she wanted to go except by way of using the street for a bit. It just makes sense to take care of those who cannot drive and must walk or cycle, and by extension, those who choose to do so. They are out there, whether you think they are crazy or not. (Some might say you are cray-cray for driving, so there is that) But what you think of these people doesn't matter, cities and towns exist for the mutual benefit of those who choose to live within their bounds. The government is tasked with the duty to "protect and to serve" its citizens. 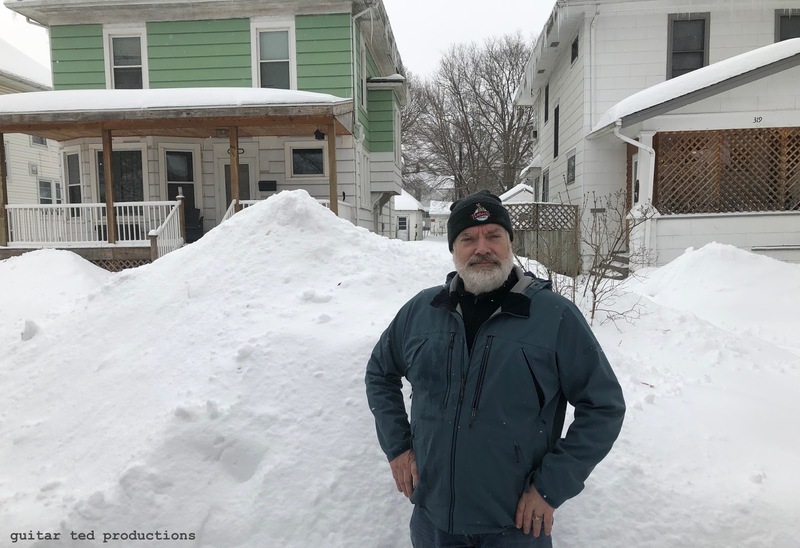 If then, a snow storm comes along and dumps snow on right of ways, be they for cars, buses, walkers, or bicycles, it is then incumbent upon the government to make sure its citizens can use these amenities which they are taxed for. Car culture is catered to the point of the exclusion of other citizens that do not or cannot use cars. This is wrong. We have made a lot of progress in some areas, but we've got a lot further to go before we can say our cities are caring for its citizens in the way that is only decent. So, here I am using some lighter gloves and the Pogie Lites in pretty cold temps. Not long ago I did a review here on Pogie Lites. (See HERE) Now this was before we had any "real Winter" going on here. So, recently during a ride to work I thought I should do an update, because obviously, we have had some pretty cold temperatures here of late with plenty of wind to go along with that. I think I've fine tuned the Pogie Lite set up for Winter that works for me. Notice, I said, "...for me." This may not work at all for you or anyone else, so you will have to think the following information through and filter it for your own needs. Okay, with that said, my thoughts were that with the Pogie Lites, I may have to use a bit beefier glove underneath to provide the right of warmth for my hands. So on a pretty cold day, (single digits) with a decent amount of wind, I rode with my heavier Seal Skinz gloves. I found out pretty quickly that was too much glove. The lack of any wind getting through the Pogie Lites meant my hands easily over-heated inside those gloves. So, I switched to using a pair of lighter Seal Skinz gloves I have. Now on their own, I might get away with riding with these in the 20's and light to no wind. Maybe. However; with Pogie Lites I almost get too warm in the single digits with these gloves on. It's really easy to get a sweat on, even with sub-zero wind chills. So, I ended up loosening up the cinched up end, (the side facing the stem) of the Pogie Lites to allow a bit of flow through in regard to air. This pretty much solved my issues with sweating out and now I can easily ride in difficult conditions, (read- sky high heart rates), and for as long as I want without getting too hot and without getting even the least bit cold. The Pogie Lites are now an indispensable part of my Winter kit. This has proven to be a pretty cool set up since the Seal Skinz gloves I am using, (seen above), are allowing enough dexterity that I can easily adjust other items of clothing, and get into pockets, etc, without having to "de-glove" to do things. I wanted also to reiterate how the Pogie Lites are easy to get into and out of. This wasn't the case with my old pogies, and try pushing back any other style of pogie. You cannot do that. Nor can you operate your controls outside of other normal pogies. You can with Pogie Lites. To my mind, since they seem to work for me in as cold a temperatures as I will want to ride in, why buy anything else? I just cannot think of a good reason to use another pogie now. I'll admit, I thought maybe deep Winter cold would preclude my use of Pogie Lites, and I was completely at ease with that thought. However; it simply was wrong thinking on my part. In fact, if it were a situation where it got below zero for the ambient temperature, I would switch to my heavier Seal Skinz gloves and still use Pogie Lites. Now for the disclaimers: My hands are generally warm anyway. In fact, I sometimes can ride bare handed in sub-freezing temperatures if it isn't windy. (Not often, but still.....) So, I have what I would call "warm hands" generally speaking. Many folks hands are freezing at 40°F, so I get it if you think this sounds like rubbish. Just adjust this review accordingly for how it is your hands generally are. Also, I will again reiterate that Bike Iowa sent me this pair of Pogie Lites at no charge for review. They weren't expecting this update, or did they even know about it beforehand, so this is purely just my take on these things. I genuinely like them and they work for me. Again- this may not be something that works for you. You've probably heard that "they" were coming to gravel events. The Pro road team invasion of gravel events that many people have been lamenting. Well, I think a lot of folks expected that this would occur maybe at one of the West Coast based rides, and certainly, the Dirty Kanza 200 would be one of their targeted events. Well, I've known about this one event, not a US based one either, but a Canadian event, that has been going on for a quarter of a century now and is going to see three Continental teams and one Pro mtb based team show up at their start line on April 28th of this year. It's called Paris to Ancaster. It's interesting from a lot of standpoints. The semi-Pro/Continental teams that are going to contest the event represent what is "hot" now. Teams not married to the road scene doing something that was grown from the bottom up. Which is something new. Big races used to be the thing to do. Attract the Pros, semi-Pros, and up and coming talent. The prizes were cash. Maybe an invitation to race on an organized team with support of companies who provided gear, bicycles, and if you were good enough, a salary to live off of. The goal of becoming a sponsored rider, who didn't have to pay for anything, and was treated like a thoroughbred race horse, was the goal. Gravel races didn't take that avenue. They allowed anyone and everyone access to the same course, start line, and rules. Entry was dictated, generally, by the rider's desire to just try the course. Prizing? Whatever. Rules were few and easy to understand. Licenses were for car bumpers. This wasn't noticed at first by the "typical road scene". In fact, gravel/All-road cycling was something that was looked down upon for many years until recently. The coverage of the Pro road racing scene barely mentioned anything about gravel racing. Those guys were "dirt bags" and those races weren't even "real races". Then something happened. Road racing wasn't what it used to be. The numbers didn't lie. Road races were disappearing, funding was drying up, and riders were not renewing licenses. Where was competitive cycling going? I recall not that long ago seeing articles lamenting the future of competitive cycling in North America. It was in dire straits. The question, "Where will North America's next Tour de France rider come from if there is no road racing scene anymore?" was seen in more than one article. Of course, this assumes that going to "The Tour" is the pinnacle of cycling achievement. Maybe it isn't. Many were just not giving a damn anymore, and the growth of gravel events is a good indication of this. I come across new "grassroots" rides all the time. So, what do you expect? Those roadies finally figured out that gravel events happened on "roads", just not paved ones. It wasn't all that different after all, just, well......less uptight. This was good. Then the word spread. Money started making its influence be known. Marketing twisted the story lines, and the original base of gravel pioneers were fearing that the "invasion of the roadies" was going to spoil the party. Well, here they come, and Paris to Ancaster will be the big show this Spring. It's something that is a sign of the maturing of the gravel scene. I guess I just don't see that it is anything to fear. I mean, it is what it is. Many folks are joining in on the gravel scene, and it continues to gain momentum. That's good. That's good whether it is the inner city kid, the young woman rider, or the newest Continental road squad. Variety of events is not going to be affected by the monies being thrown around by some events, companies, and teams. Many "grassroots" events have changed, that is true, but new ones pop up all the time. If anything, there are too many of this grassroots type of event now. So, if you start hearing folks complaining about how "the roadies are coming" and what that is doing to the gravel scene, just remind them that there are new, basic, simple, free, nearly free, and totally grassroots races/challenges/rides being invented every year. I know. I maintain a calendar of events and it has grown from a handful in 2008 to nearly 600 now. Most of the new events are not anything a Pro road racer, or heck, even a Cat 3, would want to go "compete in". Whatever that looks like to a road racer. All I know is that roadies are not ruining the scene. Races with big production, fancy trappings, and prize money are not ruining the scene. They just aren't. The grassroots races/events are off the charts in 2019, and that wouldn't be the case if the road influence was "killing the sport". Spent a LOT of time looking at this over the weekend. The impending weather of doom over this past weekend made bike riding not a very good option. So...... I figured I may as well get some "unpleasantness" out of the way. Stuff like updating the RidingGravel.com calendar, doing cues for the C.O.G. 100 route, and some other stuff I'd been putting of "for later sometime". The biggest task was the calendar. I have to chuckle about that, actually. Ten years ago it took more time to find events to add to the list than it did to maintain it. I would chase links, do searches, and try to ferret out details for events when I did find them. It was a big task to build the calendar ten years ago. Now days events pop up quicker than June weeds and just trying to keep ahead of the growth is nearly impossible. So, when Wordpress decided to change their editing format, you know.......just because, well, it threw a wrench into the works at Riding Gravel that took three months to straighten out. And after several attempts with IT people at Wordpress, via my patient partner, Ben Welnak, they still never could tell us why our interface wasn't very interfaceable. Eventually, one day, it just started working. Anyway, I lost three months of "staying ahead" of new events and updates to old ones because I couldn't add or modify the calendar for that period. Of course, the Winter is when everyone plans and updates and introduces events. Of course it is...... Brilliant. So, I spent ten hours or so over the weekend just working on the calendar. That doesn't count the other stuff I was up to on the computer, including doing this blog. But I look outside and see 25-30mph winds with drifting snow over ice which formed when things melted and got rained on yesterday. Side note: I saw lightning strikes on Saturday evening. In February......in Iowa. I'm about over this weather, by the way. Now it is supposed to be more January-like with teens for highs and sub-zero lows for the rest of this week into next. March coming in like a Polar Bear, not so much like a Lion. Good news is that I am getting ahead of the calendar again, so at least something good is coming from this crazy weather. The "Touring Series" appears today and next Sunday then it ends. Look for past entries by scrolling back to a previous Sunday's post, or type in "Touring Series" in the search box to find more. In two weeks a continuation of the time between this tour and Trans Iowa starts. August 16th, 1995: Today is the day. We only have to pack up one last time for a short ride into Hill City to meet Ryan's Dad at the Conoco station by 9am. As we get moving, the conversation is non-existent, other than the asking for details about the pick up. A solemn air hangs over us three travelers. It is in stark contradiction to the feeling everyone else around us has, as it is another picture perfect day in the Black Hills. I stopped and took one last look down the drive of Rafter J Bar Ranch, then it was time to go. As we roll out of Rafter J-Bar Ranch for the last time, a bittersweet feeling comes over me, as I remember all the years before when I was here as a child. The last day and a half were fantastic and the best of the tour. It was hard to know it was over. Then I turned to follow Ryan and Troy down the long driveway as they have gone out of sight already. It seems as though the uncomfortable feelings are better put behind them as quickly as possible. In fact, they are motoring along at a fair clip as I dangle off the back. What's the hurry? We had plenty of time to make our rendezvous and I was enjoying these last miles for all they were worth. Watching folks getting ready for fall. Seeing the local high school football team practicing for opening day. All the little things were in sharper focus for me today. We arrive at the Conoco station and Troy goes to find a phone. Ryan looks for some grub to chew on, and I sit by the bikes to guard them one last time. It seemed like we were sitting there forever waiting for something that might not happen. I felt a bit of anxiety. What if we have to stay another night? Money was tight, I was almost out. I could only afford a few Cokes for the ride home. Man! It seemed like the minutes were taking hours. Then Ryan's Dad arrived in his car pulling a white aluminum box trailer. Greetings, some small talk, then we loaded the bikes in the trailer, and we sat down for a 12 hour ride back home. This is going to be a long day. The ride was uneventful. I figured we were like a band on the road. Traveling to another show. I thought of Jackson Browne's "The Load Out". Somehow it seemed appropriate. I was wishing we could "play just a little bit longer" but we couldn't. That 12 hours was like a foggy memory. It seemed surreal. Then familiar sights bring a sharper focus as we got closer to our home territory. Finally, we reached the outskirts of Cedar Falls and I saw the twinkling lights of the city. The plan was to get dropped off at our boss' house. Then we were going our separate ways. Tom was there, he had a big smile, as usual. He was excited to hear about our adventures, but Troy and Ryan were ready to get home, and I was left to sip a few beers and give Tom the lowdown on the highlights. Eventually it was time for me to leave and I turned my bike towards home. I rode it through the black of night after promising that I would attend a "welcome home party" that upcoming Saturday night at Tom's place. It was pretty lonely on that ride, but not as lonely as that empty house I stepped into that night. And that was the end of the day. The day the tour ended. Leaving South Dakota via a car was......weird. After being bicycle dependant for ten days, we loaded up our rigs into the corner of a small, aluminum box trailer and shut the door. It seemed all wrong. I crawled into the back seat of the vehicle we were to ride home in. I was pretty much left alone to my thoughts. Ryan and his father didn't have a very conversational relationship, and so we felt kind of uncomfortable with that, as Troy and I weren't familiar with Ryan's Dad at all. Then we reached home, and of course, Ryan took off right away with his father. Troy had his wife, who was anxious to see him, pick him up not minutes later. I wasn't in any hurry to get home. I had nothing there awaiting me besides an empty house. As for me, I had work the following day, as Tom said I could come in despite the fact I had planned on having the rest of that week off. I was happy to have that to look forward to, and I think Tom knew that somehow. But as I said, he made me promise to come to the "welcome home" party. I didn't really want anything to do with it, but whatever. I supposed there was no harm in going. What I didn't know was that there was one last bizarre thing left to experience. 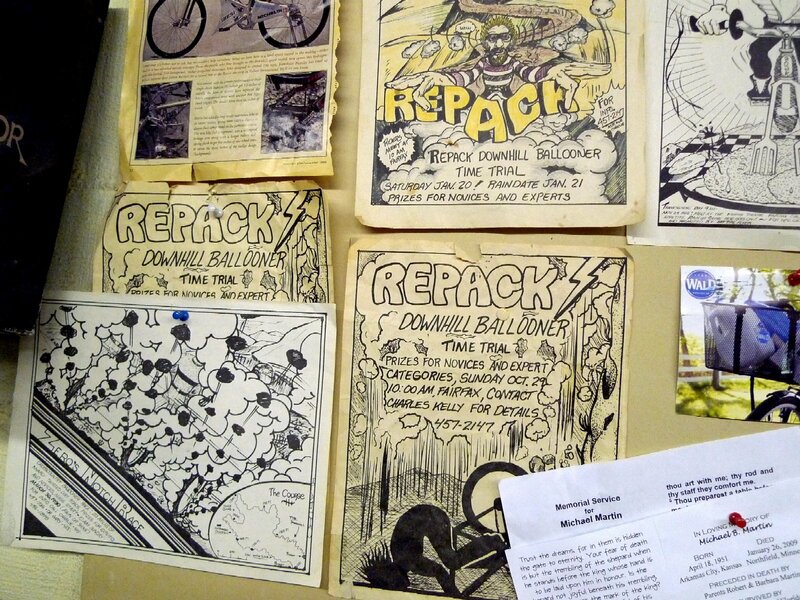 Those are not reproductions of Repack flyers. Those are the real deal there. Ten years ago this week on the blog I was busy recapping my Frostbike 2009 adventures. This was the first Frostbike that I did strictly as "media" for "Twenty Nine Inches". I had been up to the show for '03-'08 as well, but I was a gatherer of info for the shop those years as much as I was doing things for this blog and maybe my earliest offerings on other websites. In fact, this was my second year flying solo to Frostbike. Previous to this I was going up for one day only with my boss from the shop where I work. 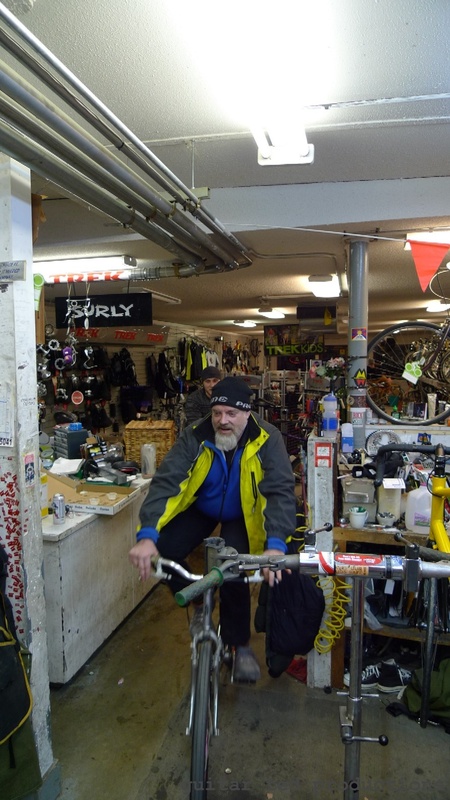 But this was really the beginning of the years of crazy Frostbike hi-jinx, of the sort I mentioned on here yesterday, and in this case, the first visit to Mike's Bikes, a former shop in Northfield, Minnesota. Mike's was a treasure of old stuff and memorabilia. 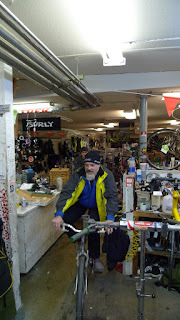 Mike, the owner, was a contemporary of Gary Fisher, Joe Breeze, and Charlie Kelly. Mike worked in the San Francisco area at a shop, and sometimes did work for these MTB luminaries. Mike also attended many of the early MTB rides and organized events. He had the posters and flyers to prove it, along with some historical Polaroids and film camera shots depicting different scenes of the day. Being a fan of history, and of course, bicycles, I was taken with this immediately. Now there was more than just nostalgia. There were new friends, beer, pizza, and bike riding. Yes......bike riding indoors. Things got crazy and we were careening down the long, narrow aisles of the shop amongst racks of bikes, accessories, and then through the mechanics bay, a hard left to the back room, then a hard left through a propped open glass door, down a ramp, through a narrow hallway, another door, and then a hard left to the store proper again. Over and over, we made laps, switching out bikes along the way, and having a hoot. Making my way into the mechanic's bay. I felt the need to get the history site going since there had been four Trans Iowas by that point in 2009 and I realized that if I didn't start documenting things I was going to lose stuff and forget a lot more. In fact, T.I.v1 documents were nearly lost and it was only through trying to get things correct for the history that I found the stuff in the end. By the way, I have a folder, or notebook with all the documents as they were put away after each running of a Trans Iowa. So, there are scraps of notes, maps, dead ends for routes, and more secret stuff I still haven't decided to release at this point. 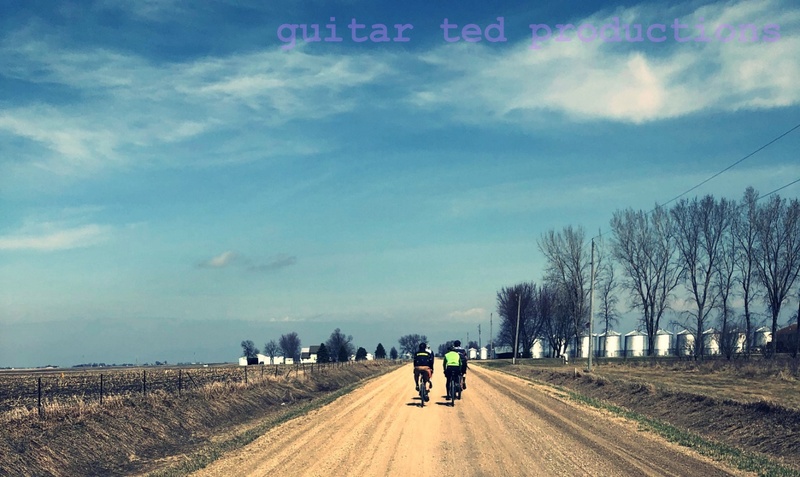 So, I had been working on all of this back in 2008, with "Gravel Grinder News" getting formatted, and the History site for Trans Iowa being done simultaneously after my kids were put down for bed at night. Between that, my day job, and doing the 29"er site, it ended up taking months to get to the point where T.I.v4 had finally been added and I could release the site to public view. Upon publishing the site, a few Trans Iowa nut jobs took a look, but this site went largely unnoticed for years, and honestly it still isn't looked at very often. On a good day it gets five views and can go for three days at a crack with no activity. But, it is there if you care to look, and since I like history, I am happy that it is there. From my last trip to Frostbike. Maybe my last one ever? Another February, another Frostbike. Another Frostbike I won't be going to. This makes it four years in a row that I haven't gone to the dealer only show in Minneapolis, Minnesota. I probably am seen as a liability to those in the legal department at Quality Bicycle Products. (Hold that thought) I used to get invited personally every year, but since 2015, I haven't been invited at all, except through the "general admission" channel which dealers get. I am not in charge of that at my shop and those who are don't ask if I want to go, or bother to sign me up when I do express interest, so whatever..... It is what it is. Anyone who thinks I should have gone just needs to ring up the shop where I work and put a plug in for me next time. It isn't that I won't go, just so you know. So back to the "liability" comment. See, when I used to go to Frostbike, it was complete mayhem, generally. Yeah, I know most of you reading this think I am a level headed dude, for the most part, but Frostbike was the scene of some of my more outlandish examples of misbehavior. The former Northfield bicycle shop, Mike's Bikes, being the primary venue, but there were other times. Like that time I got then Salsa Cycles head honcho, Jason Boucher's car towed. Or that time a bunch of us were traversing barriers in a parking garage with three story drops. Or how about the last time I went, where I walked from downtown Minneapolis to the 494 loop in the middle of the night with nothing but a cotton hoodie for a coat in 17°F weather in the snow. There was the time I crashed a dealer only party upstairs at QBP, and several times I was in places I wasn't cleared to be in. Yeah....... Those were the days, or so they say. 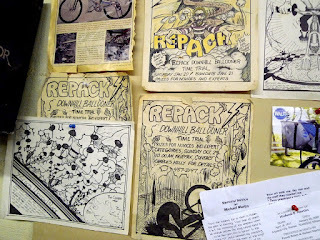 Anyway, I lived a lifetime of hi-jinx at Frostbike so not going is probably adding years to my life. Anyway...... Surly is set to introduce an e-bike and Salsa is set to introduce new FS mountain bikes. There will be media press release blitz packages broadcast everywhere. 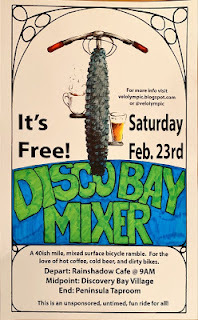 This and more media splashes will occur making the going to Frostbike pretty much superfluous. Besides, Minneapolis is supposed to get a blizzard this weekend. Ah! The joys of the internet! The Honest Air gauge left a bit to be desired. Back in November I got this Blackburn "Honest Air" digital tire pressure gauge. It is supposed to read your pressure and give you an audible prompt when it has that reading for you. Then it holds that reading until you dismiss it. The gauge was made to read Presta or Schrader tubeless valves/tubes. The head swivels to reach awkward angles and leave the gauge readable. There is also a bleed valve to bleed off excessive pressure until an optimum pressure has been reached. I liked the portability and that an audible prompt let you know that you had an accurate reading. Valve type compatibility isn't a top priority with me, but the head looked like it was very suitable for Presta valves so I was fine with that. Initial tests with the gauge after I purchased it proved to be good. I figured I was off to a good experience with this gauge. That wasn't to be the case, however. I tried using the gauge to monitor pressure in my fat bike's tires after riding in 10°F weather and I had a lot of difficulty even getting the gauge to read anything at all. In use on one tire, I had to try three times to get the gauge to read, and the other tire proved that the gauge simply would not read anything at all. Was it the cold? I tried just the other day to read the pressure on the same fat bike tires after the bike had warmed up after several hours indoors. I still had issues with getting a reading. I had to try three times to get the gauge to give me any reading at all. Unfortunately buying the Honest Air digital gauge has proven to be a frustrating purchase. When it does read a pressure, it is accurate, but I cannot abide by a product that only works in a random fashion. The Honest Gauge is a subpar effort, in my opinion. Note- The Honest Air Digital Gauge was purchased by Guitar Ted with his own money. He was not paid, nor bribed for this review. Guitar Ted and his snow pile. Well, we did it. We broke the record for February snow fall recorded in Waterloo, Iowa. 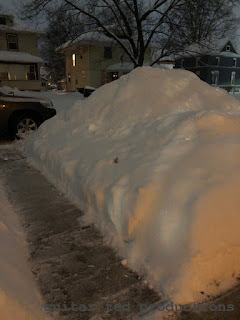 I've lived here since 1991 and I have never piled up snow this high before. By the way, I'm standing in front of one of about four piles I've shoveled this high. Not to brag, but to say, "We've gotten a lot of snow in the last few weeks." As N.Y. Roll would remind me if he were here right now, this ain't nuthin' compared to upstate New York's "lake effect" band, but for Iowa, this is a bit unusual. Anyway, this and whatever we get this weekend, (supposedly another big dump, or mostly rain, depending on who you believe), will make for a very interesting March. Obviously, the Sun is going to win, and very soon. Winter will retreat, and as it does, all this snow is going to become water, and that will need to go..........somewhere. Now, I am no climatologist, hydrologist, or expert in that way, tell me I am crazy if ya want to, but I think flooding is in our future. Yep. And it may end up becoming a real big problem if we have a wet Spring. That's it for this week. Have a great week. Go CIRREM riders! Lauf "Anywhere" bike in Green/black. Wait! What About The Fork? Lauf has made a name for itself in the gravel cycling circles by flooding events with that Grit fork as prizing and being sponsors of many of these same events and others as well. How they manage to sling so much product out there with (apparently) so few natural sales of the Grit fork is beyond me. But whatever.... I'm not a marketing genius. I just make observations. My brother MG loves the True Grit complete bike offering from Lauf.. He reviewed one for RidingGravel.com here. He liked the fork and pretty much everything about the bike. It does have a high, (cyclo cross high), bottom bracket at 68mm drop, but MG said it didn't seem to affect the bike's stability. I was intrigued, but I have to admit, that Grit fork is damn ugly. Really ugly. It has no redeeming aesthetic value at all, in my opinion. This coming from a guy who gets weak in the knees when he sees a bi-plane crown fork, so take that for what it is worth. 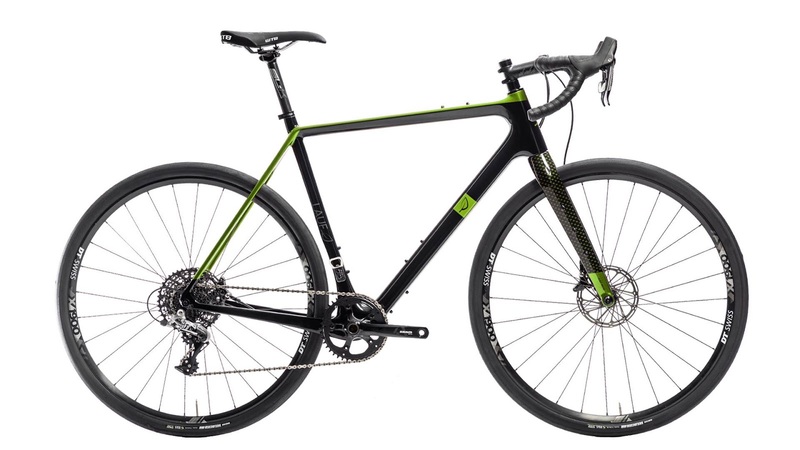 I may not be alone though, as Lauf has introduced a new bike with a rigid fork. It's called the "Anywhere". Lauf's marketing points to a road rider as the target audience, but a road rider looking to get off the pavement. 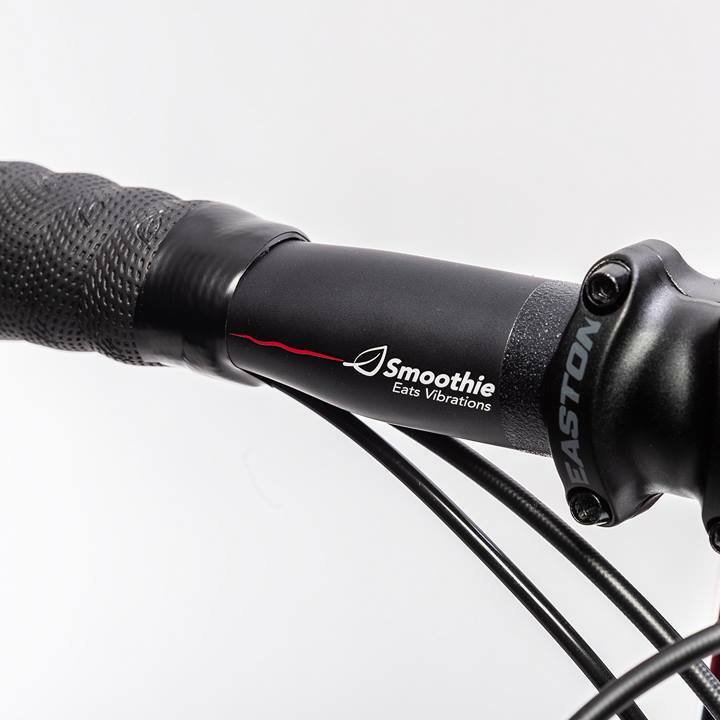 Smart decision to drop the Grit fork and focus on vibration damping from the handle bar and the insanely light carbon fork. Road traditionalists are, generally, pretty conservative with regard to aesthetics and that fork is.......ghastly. Sorry, it just is. Okay..... nuff's enuff. The handle bar is said to have a carbon layup that is very forgiving. Anyway, the Anywhere's fork has the bottle bosses that many who ran the Grit fork complained about not having. So, it may end up being a better rig for endurance and bike packers who need as much water carrying capacity as possible. The frame is said to be the same as the True Grit's in another report I read, but that has not been confirmed. Lauf does say it takes a 45mm tire, so that is a hopeful sign. It very well may be the same frame as the True Grit since the bottom bracket drop seems similar as do the other geometry bits. Speaking of which, let's delve into that. The geometry on this bike is odd. Lauf says riders should be on a longer front center and riders should use shorter stems, ala the current geometry du jour in the mountain biking world. Whether that plays well in the real world with folks from a road cycling background, riders which this seems to be aimed at, is unclear. I'm guessing it will be found to be kind of odd. From my perspective, not being a road oriented rider, I like the 71° head angle and using a shorter stem doesn't bother me much. It is that high bottom bracket that raises my eyebrow. However; MG says it is no big deal. I would listen to him, so this may be something to check out. I do like the green and black one, so that would be the one I'd choose but for one glaring misstep. They added a couple of sizes to the range and that was definitely needed. However, Lauf still refuses to support a cable driven front derailleur, and that unnecessarily limits this bike's appeal, in my opinion. I would go so far as to say that this decision was rather daft. Why cut off a significant portion of your possible sales to make a stand on 1X drive trains? Weird. Well, if I were to get one of these, I would have to rig a front derailleur onto it or I wouldn't be interested, and it would be a cable operated one. I have a pretty good idea how I would go about it too. Anyway, I don't think I'll be having to worry about that anytime soon. There are too many other choices that do support a front derailleur without resorting to electronic, and therefore more expensive, shifting. I got an orange case so this is easier to see in a bag or whatnot. "WW4M" reviews are periodic reviews of "what works for me". Today I take a look at a phone case. I recently got a brand new phone. My first one in many years, since generally I get Mrs. Guitar Ted's hand-me-down phones. This time we both upgraded. Anyway, that necessitated a brand new phone case. Not a very "cool" accessory, but if you lead an active lifestyle, and you want your phone to survive, you'd probably better get a good, protective phone case. The point is that I am hard on phones/phone cases. So, going in I knew I needed something better and I mentioned to Mrs. Guitar Ted that I had seen a company called Rokform and that they had a cool product, or at least I thought so. Now there is one thing I need to make perfectly clear and that is that Mrs. Guitar Ted has to sign off on anything "techy" I get and she isn't easy to impress. So when she said she liked what she was seeing, we ordered up a case for myself, (and one for her as well), and not long afterward we got a package delivered with the cases from Rokform. The case I got is the "Rugged" case for an iPhone 8s, (I think the 8s is what I have. I don't keep track of that stuff.) So...... I actually installed the phone into its case which was easy, but a couple of things to note here. Check out the image to the left here and note the "cross" looking circular deal. That is a plug I opted for, (sold separately), which if you don't get, allows you the option of locking the case into a few accessory mounts Rokform sells. It kind of works like a Garmin mount, so it's pretty secure, but I didn't want to go that route. Then there is the black patch below that. Okay, in there is a circular magnet which looks like a puck. I got the optional magnet which allows for cordless charging. A neat feature which makes charging the phone from a dock possible. Anyway, that magnet also can be used as a mount, and Rokform has a few accessory items that work off that as well. The case fits over the edges of the phone like a tire on a rim, leaving the face exposed. The magnet thing is safe, so you don't have to worry about degaussing your data or anything like that. Plus, it helps keep your phone stabilized on metal surfaces which attract a magnet. Like say, a tool box, which comes in handy at work, because I cannot easily knock my phone off my tool box now. Anyway, that might prove to be handy in other ways at some point. The accessory item Mrs. Guitar Ted got looks like an aluminum kickstand and attaches via magnetism to the back. That bit props the phone up so you can use it like a mini-computer, which, it is, actually. That also has a bottle opener on it, for those so inclined to have a frosty beverage while checking social media. There is also a magnetic gizmo that mounts to your dashboard vent in a car that you can use with this case as well. Mrs. Guitar Ted got that little thing also. So, as you can see to the left here the face of your phone is wide open to use as usual. Of course, there is a screen protector on there, but you aren't going to want to be dropping anything on that side, obviously. Still, I'd rather have it that way than have another layer of armor to fight with to make the little device work. Plus, the case seals up around the edges with a perfect fit. It's almost like mounting a tire to a rim, the case fits that snugly on the phone. I cannot say it is waterproof, but I bet it keeps out 90% of anything you expose the phone to. The edges are a hard rubbery deal which are very beefy on the corners. I've no doubt that if I drop this on a hard surface that the case will help prevent damage. And so far it has. I've been using this as I would during cycling, activities outdoors, and during daily life. The mounting possibilities are many, and I think I'm going to end up with a sticky puck for my truck's dash to mount my Rockform case to. (The vents on my truck are too weak to hold up the vent mount) That'll be handy when I use my phone as a navigation device in strange areas. The "Rugged" case is just what I had hoped for and I think it is going to work out fine with my gravel cycling and whatnot throughout the year and beyond. I will update this if anything else of note comes up. NOTICE: Guitar Ted spent his own damn money on the Rokform "Rugged" iPhone case and was not paid, nor bribed, for this post. So there! Looks fantastic, doesn't it? Too bad it was not solid enough for riding. Lots of snow means lots of work to be done, not only for shoveling, (see yesterday's post), but also for any recreating opportunities. XC skiing, fat biking, or hiking mean that deep snow needs some "conditioning" to get any appreciable "good times" out of it. I suppose you could snow shoe. I'm just so lucky that my snow shoe bindings bit the dust last year. meh! they were only 19 years old..... HA! Nothing lasts forever, I get it! I had heard that an attempt at grooming the Green Belt for fat biking had taken place so I figured on checking it out after doing some morning clean up with the shovel. It snowed a bit......again.....over night, plus the snow plows went through early in the morning. The Sun is getting higher in the sky now, so much so that you can feel some power in those rays. More direct light was making snow melt in places where the light was hitting it and slush and water were all over the city streets. Maybe this would crust over the packed in trail? I didn't know how well it had been set in or with what method. When I got out to the Green Belt, I saw that they had used snow shoes. From my past experiences, you have to snow shoe in a trail about ten times, back and forth, to get the snow compacted enough with snow shoes to have any support with fat bike tires later on. At least it is that way with the "sugar snow" we normally get anymore around here. I knew this attempt had been an "out and back", so what I found wasn't a big surprise. It was all mashed potatoes. That wasn't rideable, so after about 20 yards past the dike I did an about face and walked my rig out of the Green Belt. It looked tempting, and I would have really enjoyed it back there, but it wasn't to be. I probably should have XC skied it, actually. But whatever...... I went back home via alleys and even with a ton of car packing the snowy alleyways, the snow wasn't very easy to ride on. It just isn't very supportive. And now I hear we're supposed to get more than a half a foot of new snow tonight and tomorrow. Bah! Bring on Spring. This crap snow and late Winter action is for the birds. Maybe the biggest pile I've made in 28 years. Winter waited and waited to come, and then it seems that it is trying to make up for lost time. That said, February is the snowiest month here in Iowa in general. So, no big surprise that it is snowing about every three days. The big surprise is how much it has been snowing. Apparently we here in Waterloo are about double for seasonal snow fall totals already, and it is supposed to snow Wednesday and later this weekend. So, here at the Guitar Ted productions headquarters, I am in charge of snow removal. I've never owned a snow blower, but I've had a few good shovels. My main shovel now is a steel one about three feet wide. I like it. I can move a good amount of snow with that tool. Anyway, my son helps me now, of course, as he is 15 and a half years old and bigger than I am. But his job is clearing the widows walk and driveway down the street, because we try to take care of her that way. My job is our place, plus I clear a bit of the parking out in the street so Mrs. Guitar ted, a Texan, can make it in and out of the street in front of our house without fear of getting stuck. Now maybe I go a bit too far, but I clear about a third of the street out toward the center and at least three car lengths out front. I have the "Truck With No Name" to think of, ya know! Anyhow, these big snows of late have really been putting me to the test. Not only that, but where I have to throw the snow now is getting pretty ridiculous. So, yeah, no bicycling or skiing of late. Too tuckered out from launching shovel fulls of snow ten feet in the air over and over again. The "Touring Series" will appear every Sunday until it ends. There will be two more weeks. Look for past entries by scrolling back to a previous Sunday's post, or type in "Touring Series" in the search box to find more. After taking our leisure we had decided that the Sylvan Lake option was our best bet . Especially in regards to Troy's knee. It was feeling better, but he didn't want to stress it out climbing all the hills around here and we really didn't have a lot of time. Especially since we goofed off all morning. So off we went in search of the Needles Highway and Sylvan Lake. Ryan using the rock climbing shoes he had packed for over a week from Iowa at Sylvan lake. The turn off was lined with cars waiting to get in, so we three just fell in line. Waiting our turns, we chatted and laughed. It was a relaxing, fun time with no pressure. Not like we normally had on the bikes up to this point. When we got within eyesight of the Ranger's hut, we were waved up. We looked around like, "Who? Us?! ", and we went around the cars of scowling faces. We were told by the Ranger at the hut that bicycles get in for free. No need to wait in line to pay! Yes! Bicycle benefits! Me likey! Back at the campground, we hit up another game of hacky-sack, then cooked up our last meal on the road. The next day, Ryan's Dad was heading out to meet us at 9am in Hill City to pick us up with a trailer for our bikes to ride in. The end started to settle in on our minds. This trip would be over soon, and we all retreated into silence as the night time advanced. I look back at this now after so many years and realize how precious that day was. I think I had an inkling of the importance of it even then. I didn't want the day to end, as I recall. It was so heavy a feeling that, for all intents and purposes, I don't really remember anything after running down that mountain on our bicycles. That is something that seems fresh in my mind yet. Perhaps that was the defacto "end" of the trip in my mind. I don't know. Another practical way to look at this was that it would have been the "end" no matter what. Troy's knee issues notwithstanding, we were all out of cash. Without money, we weren't going anywhere much beyond where we had made it. Those times were different. We had a couple of credit cards, but the reality of those days was that cash was king. Small, out of the way places, weren't always up on accepting credit cards, especially from three young vagrants on bicycles. It was not sinking in yet at the end of this day that I had a very different reality coming to slap me in the face in about 24 hours time. My world was about to change back to reality, and fast.